Marketing your business involves creativity, communication, and a lot of dedication and hard work. Customers and potential customers are not only looking for a great product, but they’re also looking for a great company that wants to earn their business and loyalty to their brand. 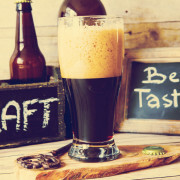 Here are 4 tips to help market your brewery. Everyone loves a good story. And even if it’s a simple one, your customers want to know what they’re buying and about the company they’re buying it from. By sharing your experiences online – like how your business started, your inspiration behind the brand, or how you got to where you are, your customers may connect with you better and feel free to share their experiences and appreciation of your brand as well. Part of telling your story is being honest and open, and building trust with your customers. They’re buying your product because they enjoy it, and they want to know that what they’re investing into is something of value and substance. If you make a promise to your customers that you will continues to use only the highest quality ingredients, make sure to keep it, and they will repay you by sticking around as loyal customers. Image is important. Creating a brand includes creating an image that will be memorable for your customers and something they should associate with how great your product is. Think carefully about how you brand yourself, and once that has been established, make sure to stay true to that image. Part of standing out from other breweries is staying consistent throughout the branding process. It’s hard to follow a brand that continues to change all of the time, and it’s important to realize that your customers and potential customers are looking for something great they can recognize.